No major Russian author has been more thoroughly translated into American culture than the master of the short story, playwright, and socially committed physician Anton Chekhov (1860–1904). Chekhov’s writings and his person have had an exceptionally strong hold on the American imagination since the first British translations of his work crossed the Atlantic in the early twentieth century. Many distinguished American authors have openly acknowledged Chekhov’s influence and responded to him in their own writings, and as a playwright Chekhov figures second only to Shakespeare in the frequency of performances on American stages. Physicians with an interest in literature have been particularly drawn to the life and writings of Chekhov, and he figures prominently in thinking and teaching in the new field of medical humanities. This interdisciplinary volume issues from a 2004 symposium, sponsored by the National Endowment for the Humanities (NEH), marking the centennial of Chekhov’s death. 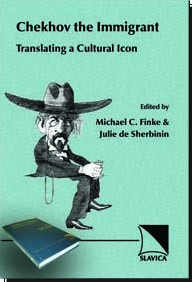 Contributors include the most outstanding American translators of Chekhov’s prose and drama, leading Chekhov literary scholars, historians, theater critics and artists, prominent authors of fiction and popular criticism, and physicians and other health-care professionals. The articles and transcripts of roundtables and interviews in this volume reflect on the various angles of vision that have produced the Chekhov—or, more accurately, Chekhovs—we now know. Together they ask: if for Russians Chekhov arguably defines what it is to be a humanist in the modern era, what have the man and his writings meant in the American cultural context, particularly in the last quarter century, and how and why has this varied across disciplinary boundaries? Ultimately, such questions lead to more fundamental ones about the humanities. This volume is recommended for four-year college courses and research university libraries.